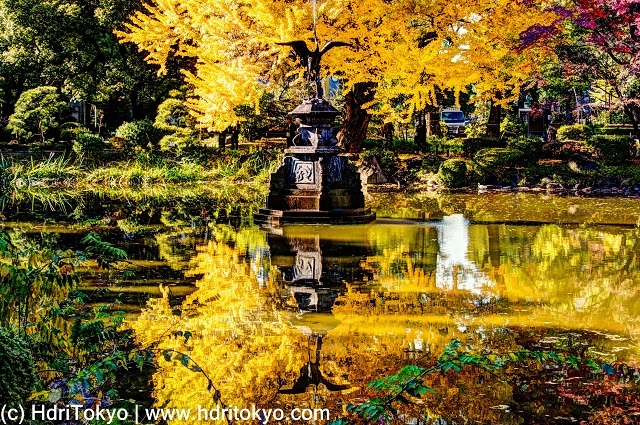 A pond named "Kumogata pond" which has a crane fountain. 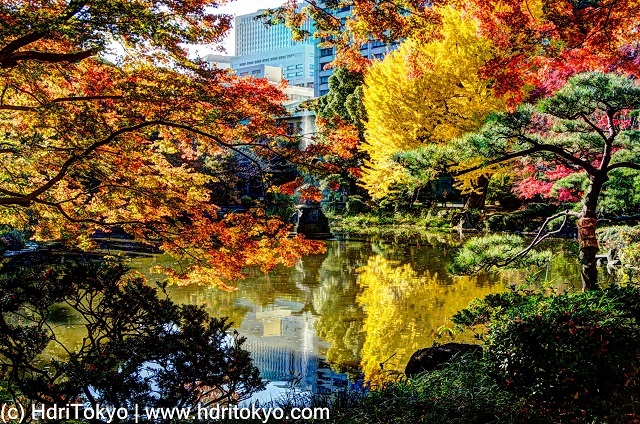 This pond is located at Hibiya park. 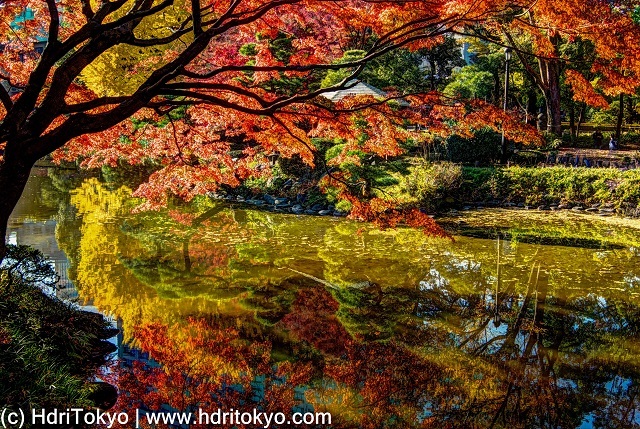 In late autumn, those Japanese maple and ginkgo trees decorate the pond with vivid colors.